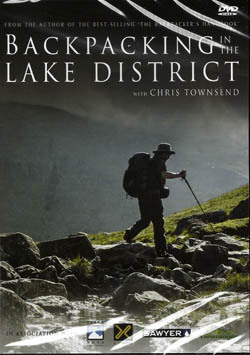 Chris Townsend (author of the best-selling 'The Backpacker's Handbook) presents a guide to backpacking around The Lake District National Park. Including tips of navigation, nutirtion and the essentials of site selection. 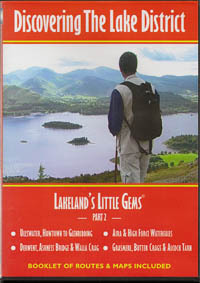 In the second of this series of delightful Lakeland walks local writer and broadcaster, Brian Nicholls, explores some of the very best and yet most accessible scenery to be found in the heart of England's most inspiring and spectacular landscape. 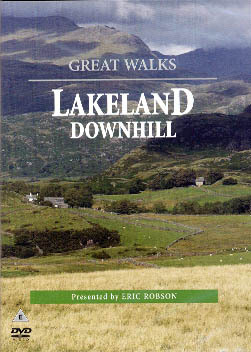 Eric Robson takes it easy as he guides us on four downhill walks through some of the finest scenery in Lakeland. Format : PAL DVD. Running time approx 60 mins. 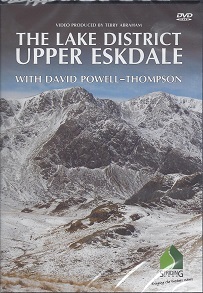 This DVD features three walks - Helvellyn by the Edges, Haystacks and the High Stile Ridge and High Street from Kentmere. Running time approx. 90 minutes. Spectacular photography, informative and entertaining conversation and broadcast quality production make 'Great Walks' the very best walking series around. 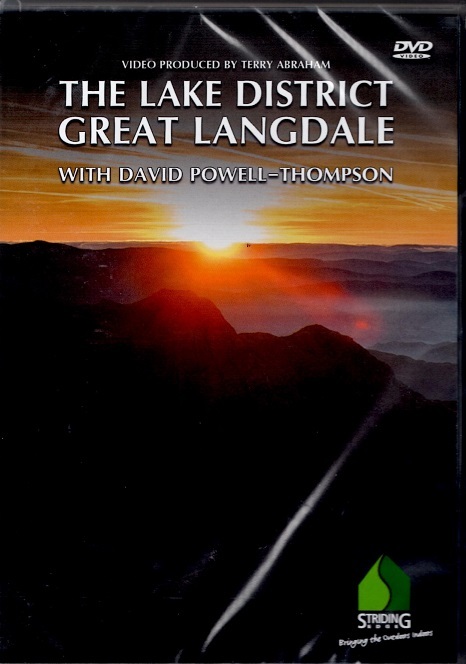 Whether you are planning your own walks or wish to recapture memorable days in the hills or countryside, Great Walks is the DVD series for your collection. 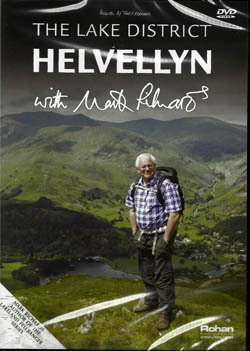 Spectacular photography, informative and entertaining conversation and broadcast quality production make Great Walks the very best walking series available. In this programme Cameron McNeish explores the mountains surrounding one of the most spectacular valleys of Lakeland - Wasdale. 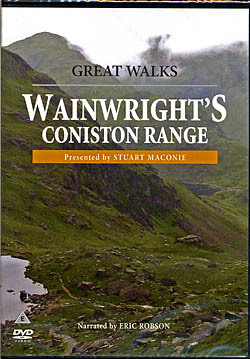 The latest addition to the Great Walks Collection, this exploration of the Coniston Range starts at Seathwaite in the Duddon Valley and takes in Grey Friar, Great Carrs, Swirl How, Wetherlam, Brim Fell, Coniston Old Man and Dow Crag. A celebration through the seasons of the life on and around the roof of all England. 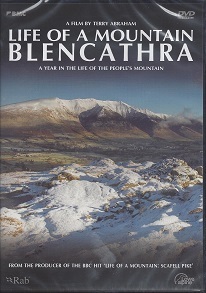 The highly anticipated sequel to the BBC hit 'Life of a Mountain: Scafell Pike' sees award winning film maker Terry Abraham return to the Lake District to showcase "the people's mountain" Blencathra. The scruff on a string and his trusty border terrier head for Galloway and the Whinlatter Forest, Eskdale and Gilsland, Langholm and Kirkby Stephen, Irton and the Garden of Eden. All in all the best fun low level walking and waggery you’ll find anywhere. More of the 2008 ITV series which broke all box office records. They're back - one dog and his man. It's the most popular regional ITV series in Britain. 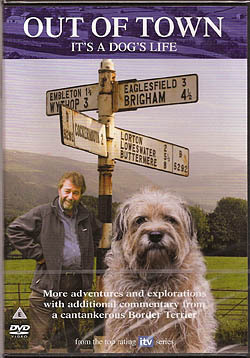 Eric Robson and cantankerous border terrier explore landscape and memory, folklore and living history, and squabble a lot. This is a brand new long distance walk from Kendal to Carlisle in the footsteps of social reformer Jonathan Dodgson Carr - who's actually best known for his biscuits. Aerial Britain offers an armchair view of the rugged mountains and beautiful lakes of the Lake District, the rolling hills and picturesque valleys of the Yorkshire Dales and the heather moorland of the North York Moors, with some dramatic coastal scenery at either end. Eric Robson sets out on the 84 mile route from Ulverston to Solway in this invigorating walk across the Lake District. 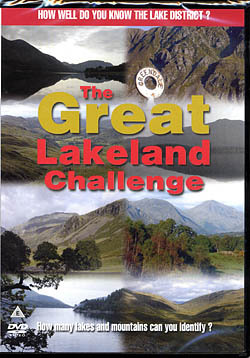 So how well do you know your Lakeland mountains? Format : PAL DVD 40 minutes approx. The Howgill Fells, east of the Lune Gorge and the M6 motorway have been described as the forgotten quarter of Lakeland. Alfred Wainwright compared their gentle rolling hills to a herd of sleeping elephants. 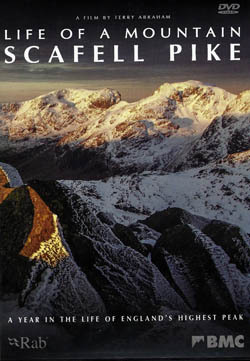 Mark Richards (author of the Lakeland Fellranger series) presents three of his favourite walks around Helvellyn, each revealing different and exciting aspcts of The Lake District's third highest mountain. Alistair Moffat, the Scot, and Eric Robson, the adopted Cumbrian, set out to explore the history and folklore of the England/Scotland Border. They try to discover the people who created the Border and to find out how significant the line on the map is today.